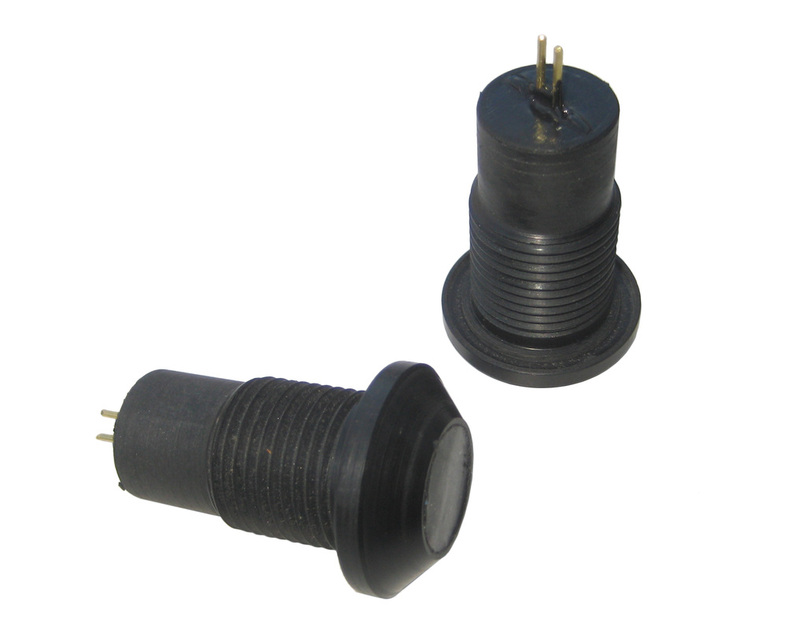 Global Ocean Design, Pressure Activated Switch (p/n GOD-119) for use with a PBOF system. Switches at 2-3 atm pressure, pressure tested to 1850psi (125 atm). The customer has the option to order the unit to either turn "on" or "off" at depth. Each switch is individually tested for both switching function and pressure tolerance, then re-checked for switching function after the pressure test. Designed to seal against a PBOF system housing, with solder posts on the oil-filled interior. Current carrying capacity: 250 mA @ 120 V AC or 28 V DC, 125 mA @ 250 V AC. Higher current loads may be controlled using solid state MOSFET immersed in oil. Quiescent current in off position: zero. Comes with 7/8-14 mounting hardware, spare o-rings, and certification of performance. INSTALLATION NOTE: The manufacturer does not recommend using a metallic split ring lock washer in the installation, as the Delrin threads may shear. The use of Loctite 425 is suggested, as it is specifically made for use with plastics. An alternative is the use of RTV as a threadlocker.